Propagation: By spores sown on surface of sandy peat in shallow pan covered with bell-glass in temperature 65-75F (18-24C) at any time; by division of plants at pottting time. 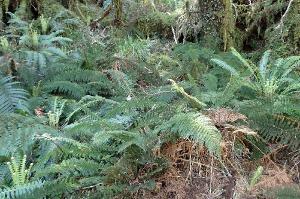 Greenhouse evergreen fern with finely or coarsely divided fronds, dark green, mostly semi-transparent, previously known as Todea. First introduced mid-nineteenth century. Culture: Compost, equal parts peat, loam, leaf-mould, charcoal, sandstone and silver sand. Position, moist, shady, in damp resesses of rockeries, under bell-glasses or in cases. Plant. March. Water freely March to October, moderately October to March. Moist atmosphere and shade most essential but syringing unsatisfactory. Temperature, March to September 55-65F (13-18C), September to March 45-55F (7-13C). Leptopteris superba and Leptopteris hymeno-phylloides suitable for cold houses. Culture in Cases: Compost, equal parts peat, loam, leaf-mould, charcoal, sandstone and silver sand. Position, shady window, not exposed to sun. Pot or plant, March. Top-dress with fresh compost annually in March. Water freely April to September, moderately afterwards. Ventilate case few minutes daily. 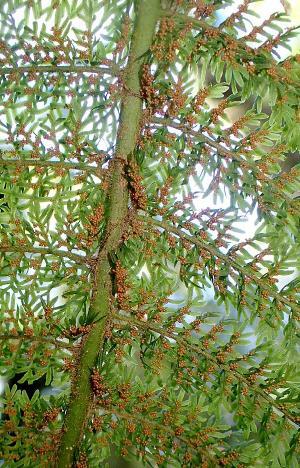 Suitable species are Leptopteris superbs and Leptopteris hymeno-phylloides. Leptopteris hymenophylloides in Mount Ngongotaha Scenic Reserve near Rotorua, Bay of Plenty Region, North Island of New Zealand. Date: 25 March 2019. By Krzysztof Golik, via Wikimedia Commons. 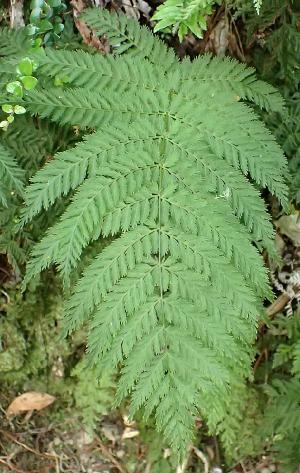 Leptopteris hymenophylloides in Waioeka Gorge Scenic Reserve (New Zealand). Date: 27 November 2017. By Krzysztof Ziarnek, Kenraiz, via Wikimedia Commons. 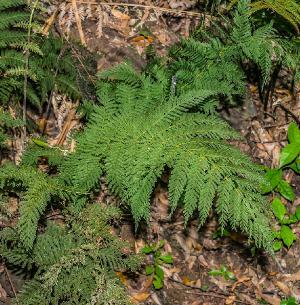 Leptopteris hymenophylloides in Mount Ngongotaha Scenic Reserve near Rotorua, New Zealand. Date: 28 November 2017. By Krzysztof Ziarnek, Kenraiz, via Wikimedia Commons. 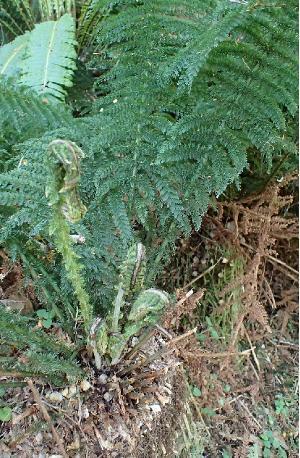 Leptopteris superba at Lake Marian Trail, Southland (New Zealand). Date: 19 November 2017. By Krzysztof Ziarnek, Kenraiz, via Wikimedia Commons. 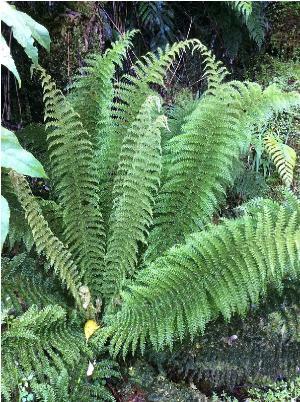 Prince of Wales feathers (Leptopteris superba), a fern species endemic to NZ, at Lake Matheson near Fox Glacier, South Island, New Zealand. Date: 17 January 2015. By MurielBendel , via Wikimedia Commons.